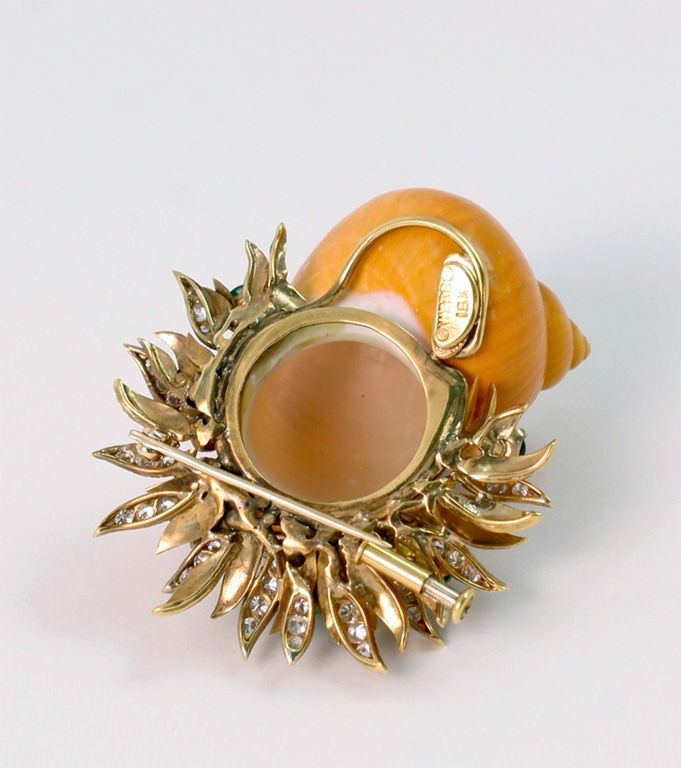 The 1960’s was a time of imaginative jewelry designs capturing the beauty of the natural world. 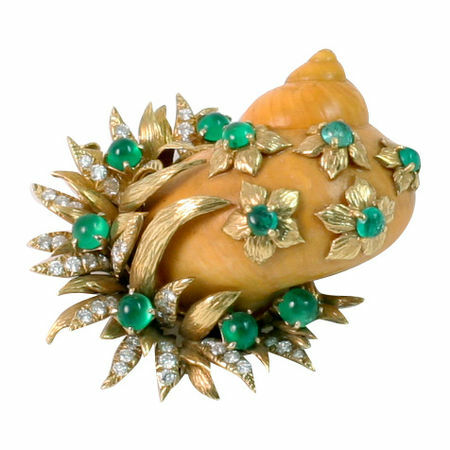 This shell brooch by David Webb is a charming example, using an actual shell, with cabochon- cut emeralds - a beautiful accent to the diamond- speckled textured gold leaves representing seaweed. 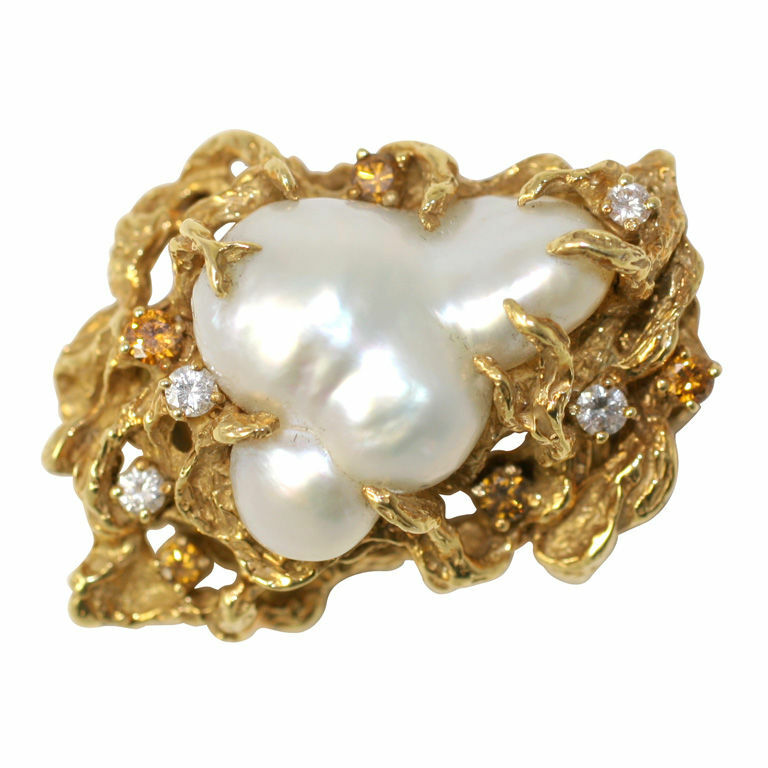 This beautiful brooch was featured in the book "Brooches: Timeless Adornment" by Lori Ettlinger Gross on pp.166-167. 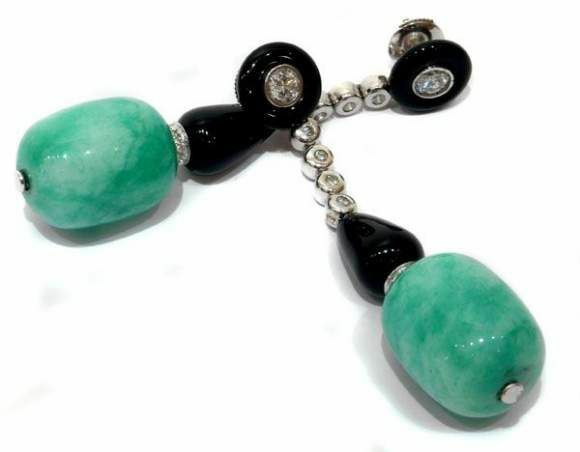 This brooch by the American jewelry house of Seaman Schepps is simply delightful. 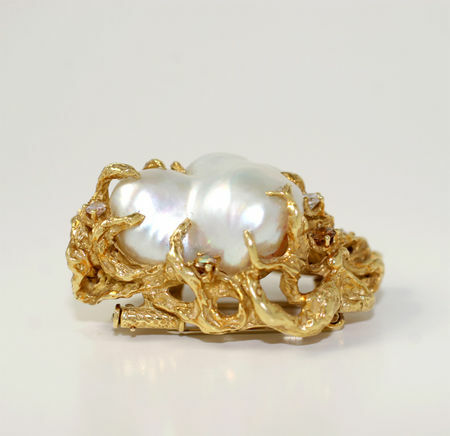 You will be hard- pressed to find another one like it today. 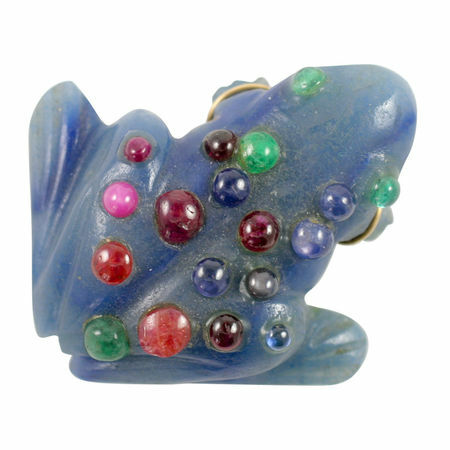 The cabochon cut emeralds, sapphires and rubies are set directly into the chalcedony torso of the frog. This is a much more complicated process than the way they are made nowadays, with the cabochons set in gold collets and the frog made of crystal as opposed to chalcedony. 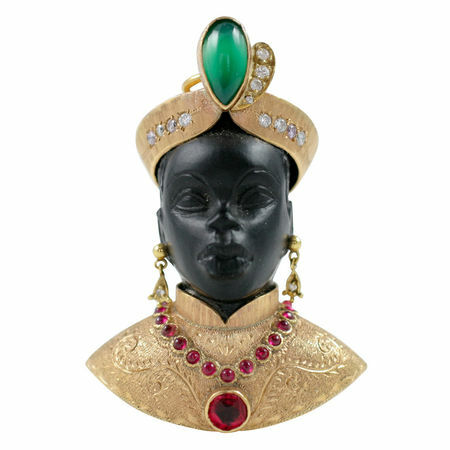 Guilio Nardi, founder of the renowned Venetian jewelry house of the same name, first started to design blackamoors in the early 1920s. 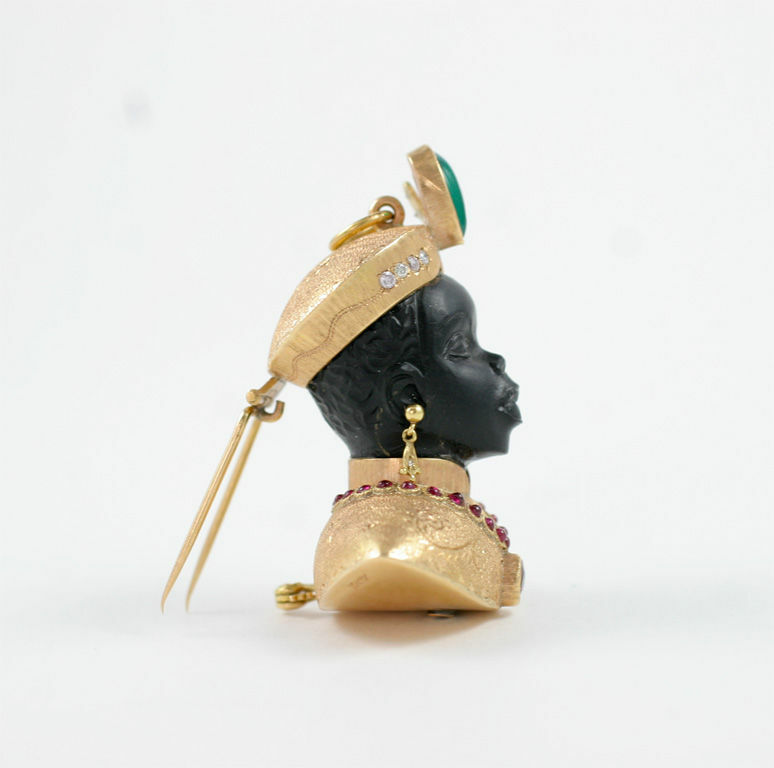 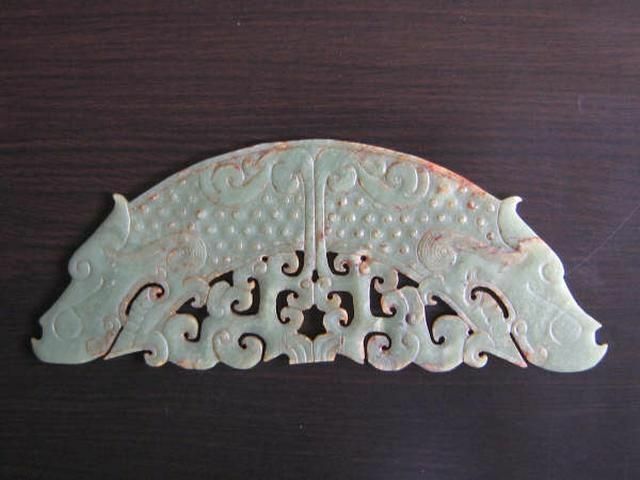 Since then these brooches, depicting a Moor’s head and shoulders, have become the house’s trademark. With an emerald in his gold and diamond turban and a ruby necklace embellishing his gold jacket, this is one is exceptionally beautiful. The Nardi brooches are as collectible today as the day that they were first produced. 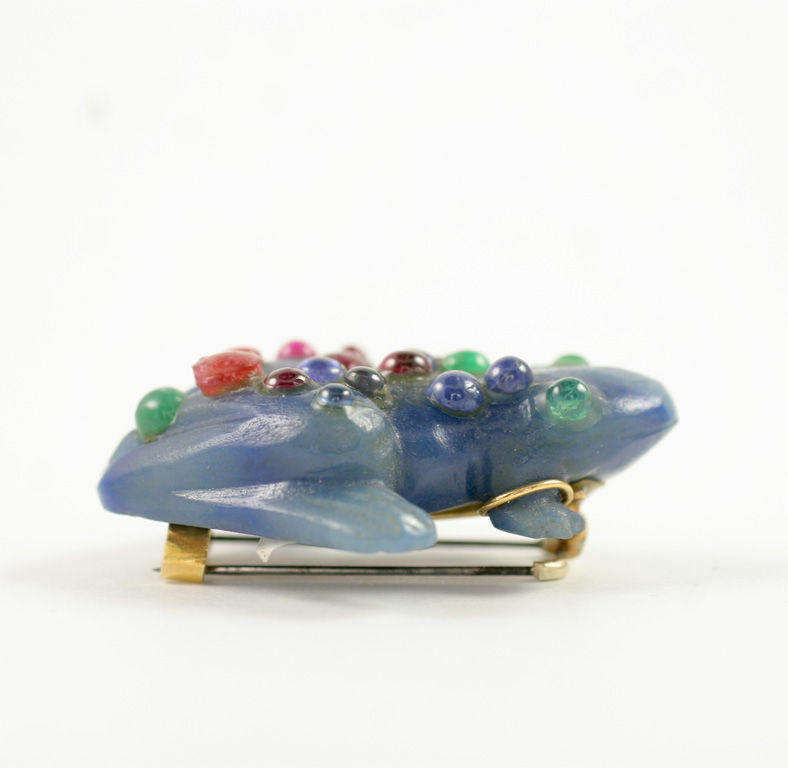 A highy unusual brooch by one of the most interesting American jewelers. The size of this pearl, +/- 30mm, is what makes this such a standout piece.